MACON, Georgia, (November 1, 2015) It’s only fitting that is a strange week, the Tennis Classic of Macon’s singles title would be decided about 90 miles away in Athens, Georgia. With rain falling once again in Macon, the decision was made to move the singles final to the Hopkins Indoor Courts, part of the Dan Magill Tennis Complex on the campus of the University of Georgia. Anna Tatishvili, with a world ranking of No. 108 and a former Tennis Classic of Macon champion was meeting for the first time, tournament No. 5 seed and WTA No. 141, Rebecca Peterson of Sweden. The players, tournament staff and officials all made the trek via a caravan to Athens for a 1 p.m. start. Players were given one hour to warm up and get accustomed to the courts. 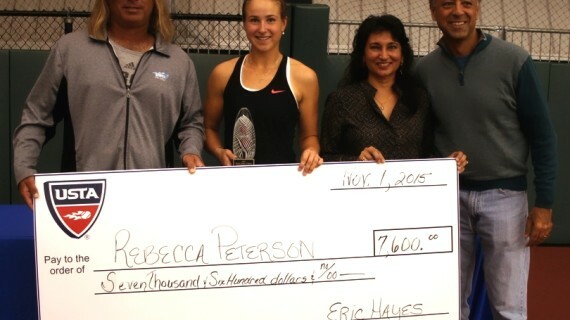 Peterson, hailing from Sweden and used to indoor courts got off to a fast start. Her forehand was dominant and she was coaxing Tatishvili wide of the court before delivering the forehand punisher. At 3-3, Peterson twice it the baseline for winners as a distraught Tatishvili pleaded the umpire to overrule. Peterson held in a long game at 3-3 before easily braking Tatishvili and then holding to close out the set as Tatishvili demolished a racket. First set to Peterson 6-3. It was more of the same to start the second set as Peterson kept hitting forehand winners. It was at that point that Tatishvili changed tactics and started playing inside the baseline to grab a 5-2 advantage. On cue, Peterson readjusted and started looping balls deep. The Swede pulled within 4-5 and had a 40-15 advantage before Tatishvili upped her attacking game and won the set on two straight down-the-line winners. Peterson went back to looping the ball deep as the third set began. It worked. In between opportunistic forehand winners and the looping deep balls, Peterson pulled away to win the third set 6-1. 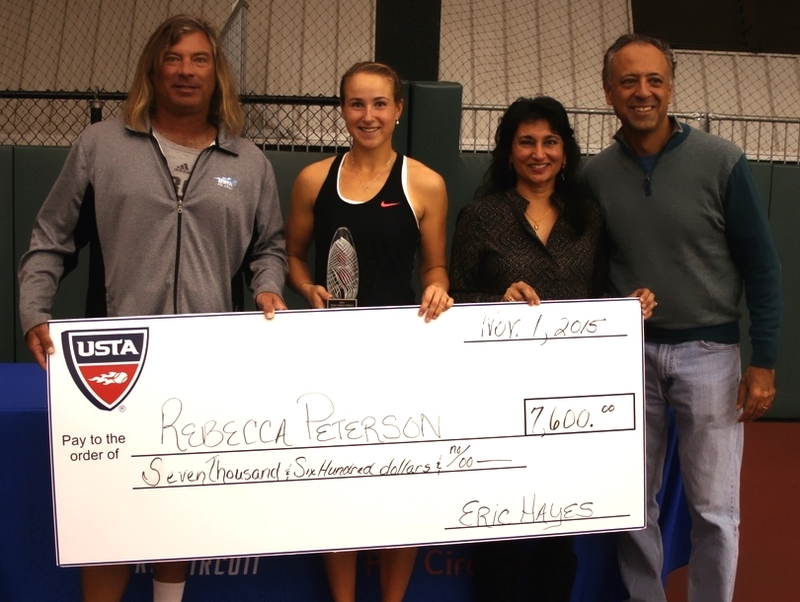 Peterson and Tatishvili each now head to Waco, TX for the next 50K.